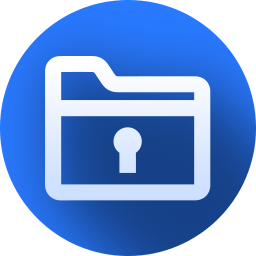 A complete iOS recovery tool to directly recover lost data. 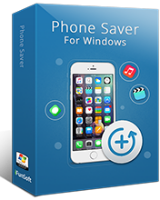 Phone Saver 3.0 was available as a giveaway on October 28, 2016! Phone Saver is an easy-to-use yet complete iOS data recovery tool to directly recover lost contacts, messages, photos, notes, videos, etc. With its powerful recovery feature, you are free from data loss disasters caused by accidental deletion, iOS upgrade, or device crash or damage. What’s more, it can also fix Apple white or black screen of death and recover your iOS device from looping recovery mode. How would you improve Phone Saver 3.0? iFun Video Converter is a totally free and all-in one video converter, DVD converter and video downloader. With the ultra HD video compression and decoding technology, it not only allows you to convert videos or DVDs from one format to another swiftly, but also to 4K videos without quality loss. The most important is that, the newly added VR Video module offers an easy solution to convert non-VR videos to VR-3D videos that can be supported by your VR headsets. 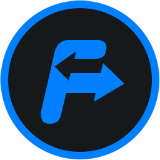 What's more, iFun Video Converter lets you effortlessly download and convert online videos with just one click, and the breakpoint resume technology also greatly simplifies the download process. We have contacted the developer in regards to the license issue yesterday. Unfortunately, we haven't got a reply so far. We will do our best to re-reun this giveaway at a later date. Free software otherwise purchased does not mean it will remain free forever without the appropriate license for updates. Sure the header implies free but if an antivirus program was free, we now know that doesn't mean with virus definitions forever. It now implies we expect to pay service fees for updates so to point, sure it is free now and we would like to know how long the app will allow supported updates. i agree with TK but I would like to see a product support rep tespond. Why is the Mac version not available as GAOTD ? If it does not recognise the iPhone it may be because you have windows 10 anniversary edition which has upon installation reverted your drivers to ones from 2006!!! It did this to me. Update the drivers to the latest version and the iPhone will be recognised. If it does not recognise the iPhone it may be because you have windows 10 anniversary edition which has upon installation reverted your drivers to ones from 2006!!! It did this to me. Update the drivers to the latest version and the iPhone will be recognised. This worked for me. After I installed and registered from GOTD, it did not recognize the phone. Then went to http://www.phonesave.net/ and downloaded again and after install, it did recognize phone. Domo, many thanks! It worked! Itr would be nice if the people who voted thid down would leave a comment as to WHY they gave it a thumbs down. Doesn't work. It doesn't see the iPhone. Does this giveaway include updates? If it doesn't include updates then potentially it's only of use until the next iOS update so no point having. Does this giveaway include updates? It doesn't say above and I can't get to their site from work, it shows it blocked and classified as hacking (not a good start) If it doesn't include updates then potentially it's only of use until the next iOS update so no point having. bob, Surely the idea is not to provide free programs for ever but to to allow us to try them for free for up to a year and if we find the program useful then we buy it. Much better than buying a program untested then finding that it does not fulfill your needs. Leslie Gee, no the GAOTD idea is to provide a commercial licensed program for 1 day that will in that version/build last indefinatly and not have to invest technical support or updates/upgrades to future versions and then when the end users PC dies or is re-installed or a new one is bought the program became so essentil to the end users way of doing things that will happily buy a full license for the new setup. The license informtaion will be updated when you restart the system and the program. If it does't work, please contact phonesaverpc@ifunsoft.com. Thanks. In my opinion it would be great if you note in the description if the license is time limited. iFunsoft, In my opinion it would be great if you note in the description if the license is time limited. bob, Re "it's only of use until the next iOS update ..."
It is quite possible that the giveaway does not communicate directly with the iOS-device, but via iTunes. If iOS gets updated, it might be sufficient to update iTunes. bob, Re "it's only of use until the next iOS update ..." It is quite possible that the giveaway does not communicate directly with the iOS-device, but via iTunes. If iOS gets updated, it might be sufficient to update iTunes. You points are well taken ...... but the very first sentence at the top of this page reads as follows, "Every day we offer FREE licensed software you’d have to buy otherwise." I don't see how one could interpret that to mean that the software expires "up to one year" without further notice. The way the sentence is worded means that this software is the same as the one you would normally have to buy (although we do realize that some offers are for older versions, or might not have all the features etc). And of course we accept that you won't get free updates or in most cases free technical advice if you have problems with the free version. And in fact letting the software composers know of problems you have ARE one of the reasons why the software is free. Leslie Gee: You points are well taken ...... but the very first sentence at the top of this page reads as follows, "Every day we offer FREE licensed software you’d have to buy otherwise." I don't see how one could interpret that to mean that the software expires "up to one year" without further notice. The way the sentence is worded means that this software is the same as the one you would normally have to buy (although we do realize that some offers are for older versions, or might not have all the features etc). And of course we accept that you won't get free updates or in most cases free technical advice if you have problems with the free version. And in fact letting the software composers know of problems you have ARE one of the reasons why the software is free.